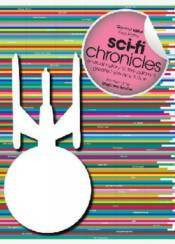 From Barbarella to Blade Runner, from Solaris to Star Wars, and from 1984 to 2001, Sci-Fi Chronicles seeks out 200 of the greatest galactic creations. Presented in an arresting blend of incisive text, infographic timelines, and stunning photographs, each chronologically arranged entry features an entertaining overview written by a science fiction expert, plus lavish spreads on franchises like Doctor Who of photographs illustrating how they have evolved from black-and-white beginnings to big-budget blockbusters. Seminal sagas like Star Wars and Star Trek enjoy not only a 'real world' timeline of films and TV broadcasts, but also a fascinating spread detailing their role in the series' fictional universe.